Capitalists@Work: Huhne: Put Out More Flags! Huhne: Put Out More Flags! "Most greens think he has done well" - apparently. But he has not. Can this please be taken as an opportunity to review energy policy comprehensively? OK, I know, but let me dream. A decent start to the weekend, anyhow. PS This is nicely put ! PPS Maximum sentence of life, eh ? One less piece of green garbage. I haven't got any flags handy, so I'll repost a caricature of him looking particularly glum. Doing a Nabarro might become part of the language of politics. this seems to have put everyone in a good mood ! No point getting too excited though. He'll be replaced by another warmist eco-fascist, hell-bent on increasing energy costs. Ed Davey, minister for shadowing Vince & selling post offices to John lewis, becomes the new minister for wind-chimes,sunbeams and waterfalls. Notice how I've been overlooked yet again! First, the seriousness of the substantive offence to which the perverting of the course of justice relates. Second matter which the court must have regard to is the degree of persistence in the conduct in question by the offender. Thirdly, one must consider the effect of the attempt to pervert the course of justice on the course of justice itself. Isn't it the LibDems that want non-violent offenders to do community service in bright orange jackets? Sounds good enough to me, he should get 250 hours community service. The DECC should return back to the Department of Energy, and drop the Climate Change title. Second, government policy is largely based on the book by David McKay "Sustainable Energy: Without the Hot Air". The book is very well researched, but extremely political as the "only" solution advocated is essentially going Amish & total destruction of the UK economy. The shameful aspect is that the Tory party is so completely politically clueless that they dont understand that "green" energy policy is not about climate change. Climate change is being used as an excuse to try and turn the UK into a communist agrarian society. 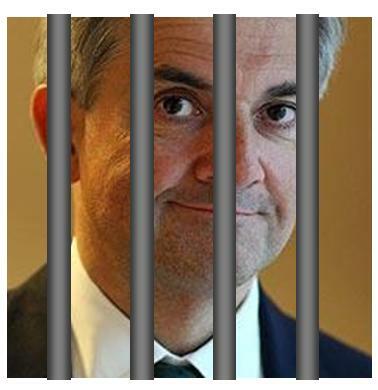 Thoroughly unpleasant character though he is, Huhne has not been found guilty yet. However we can say that either Chris or Vicky is a liar (or both I suppose). I'd *love* to believe this and the recent annulment of Mr Fred will mean the elite fools are no longer untouchable. Sadly, I think it's just the nomenklaturu throwing their weak and injured to the hyaenas as a bit of 'steam-control'. While the 'little people' they despise are sated, the inner core only accelerate their plans to suspend free speech, implement the database-State and steal all the wealth of the middle-classes by taxation of assets AND income. Pay up, pay up, and pay again ! ND@8.26 I've never been so pessimistic. I've had 12+ months of experience of the end-game of a 'quango' and it's been a shambles from the start as the politicos seek to make good on sound-bites while every SCS seeks ways of lining their own pockets in a repeat of the Qinetiq boondoggle. The trough has been well and truly emptied by the consultants, EO and HEO staff are forgotten about and cynical opportunism is rampant. so where were the bankers & politicians to go for their next trick ? ... still, let's enjoy the Huhne thing, just for one weekend, eh ?